Anse La Reunion on La Digue is a pretty long stretch of coastline that you wouldn´t usually combine all in one name. It starts at the jetty in La Passe and leads all the way down to L´Union Estate. Along the way there are several hotels and private homes, so the beach isn´t easily accessible everywhere. Not all of it is a proper beach area, but some stretches are really nice. The water like almost everywhere on this side of the island is rather shallow, especially at low tide. Some parts have nice shady trees, others don´t. 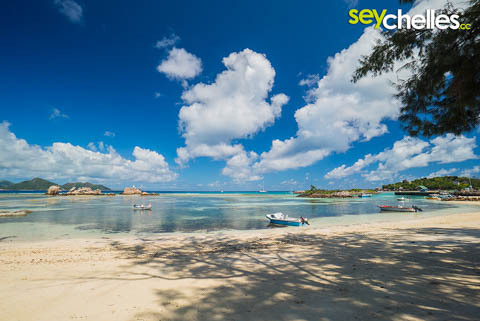 In general, we don´t really recommend to go for this beach, except you live in one of the hotels nearby and are too lazy to get to one of the other really great beaches on La Digue. Again - if you are used to beaches in other countries, you´d be totally happy. 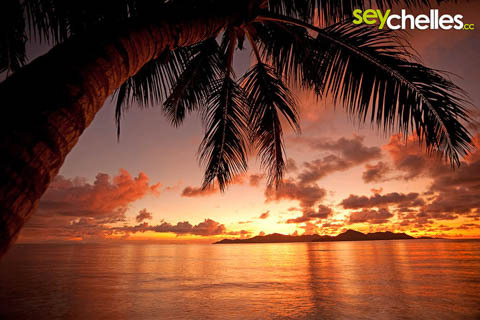 But you are on La Digue, the island with some of the most beautiful beaches in the world.